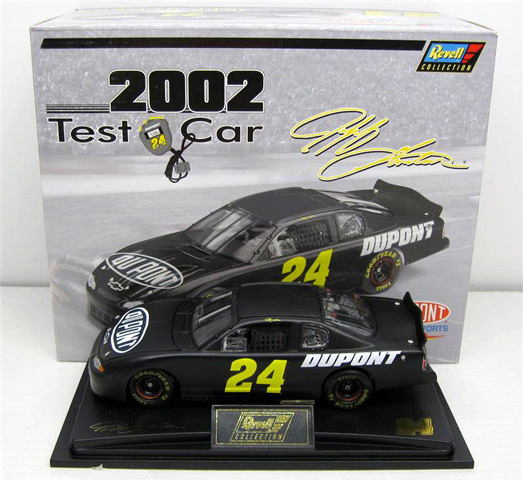 All Test Car Diecast Cars are included on this page. Hendrick Motorsports marks its 30th anniversary this year and to kick off the celebration, drivers Jimmie Johnson, Jeff Gordon, Dale Earnhardt Jr and Kasey Kahne drove specially designed paint schemes at the test sessions at Daytona International Speedway on January 9-10, 2014. 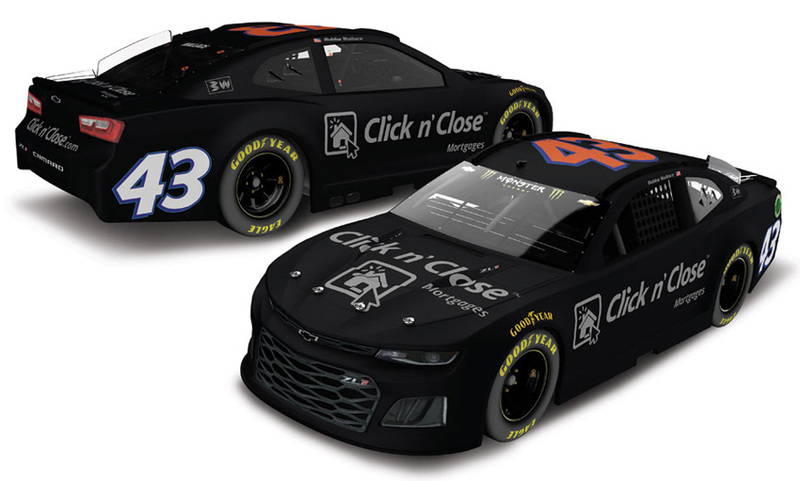 During the two-day test session, hailed DAYTONA Pre-season Thunder, each driver took to the track in preparation for the highly anticipated Daytona 500. 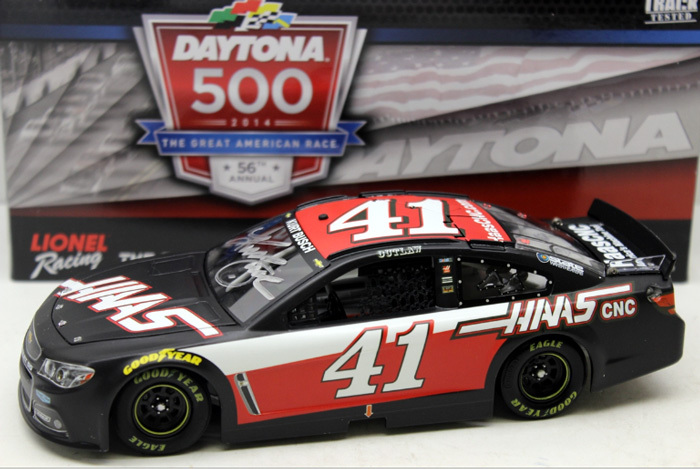 Autographed version available $59.99 - Autographed by Kurt Busch, on the windshield in Silver. Includes a certificate of authenticity. 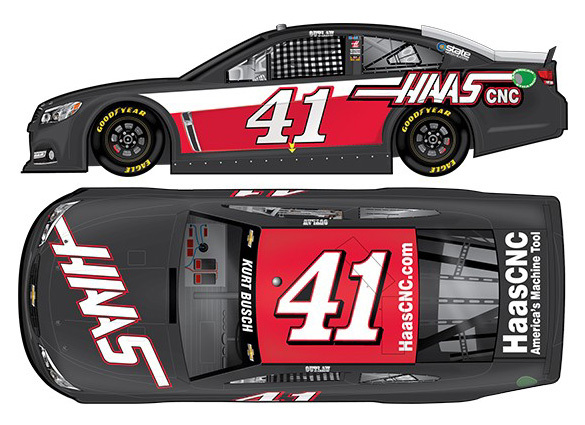 2014 Kurt Busch #41 Haas Automation / Test Car / Chevrolet SS NASCAR diecast, by Action. 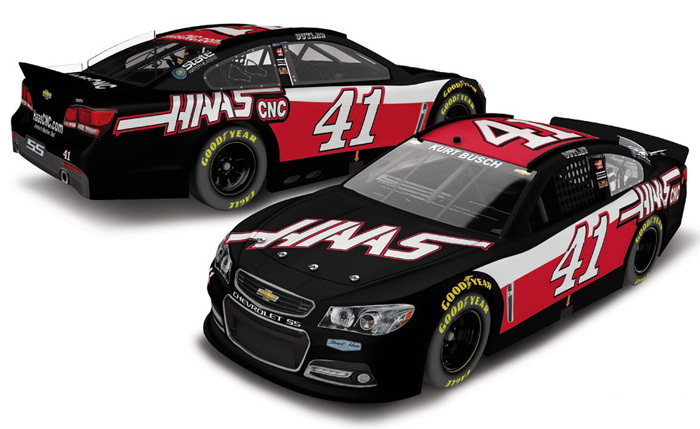 The Stewart-Haas Racing #41 Haas Automation Chevrolet SS Test Car was driven by Kurt Busch during the NASCAR Sprint Cup test sessions at Daytona International Speedway on January 9-10, 2014. 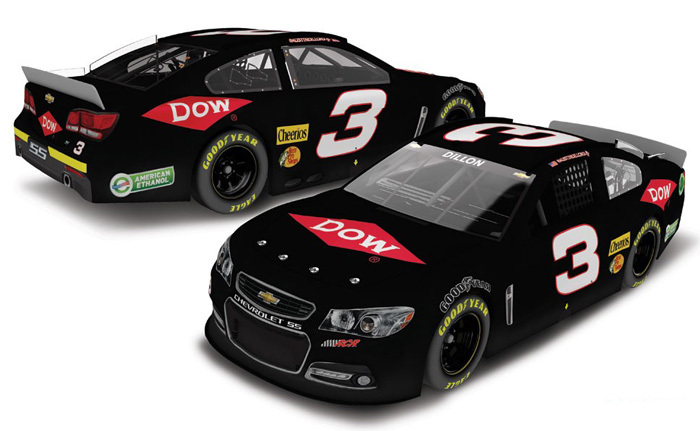 2014 Austin Dillon #3 Dow / Test Car / Chevrolet SS NASCAR diecast, by Action. 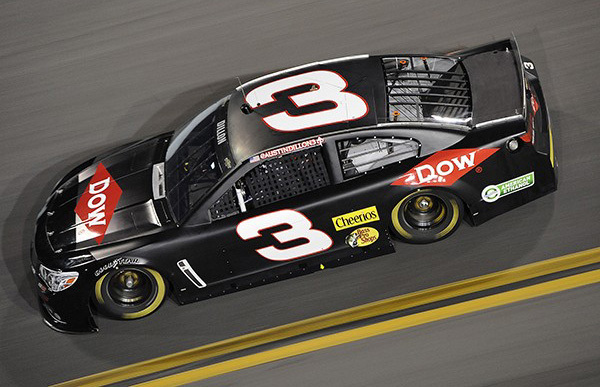 The Richard Childress Racing #3 Dow Chevrolet SS Test Car was driven by Austin Dillon during the NASCAR Sprint Cup test sessions at Daytona International Speedway on January 9-10, 2014. 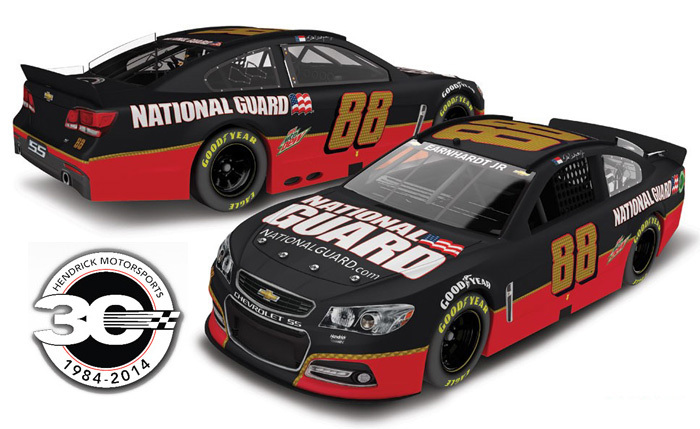 2014 Dale Earnhardt Jr #88 National Guard / HMS 30th Anniversary Test Car / Chevrolet SS NASCAR diecast, by Action. The Hendrick Motorsports 30th Anniversary #88 National Guard Chevrolet SS Test Car was driven by Dale Earnhardt Jr during the NASCAR Sprint Cup test sessions at Daytona International Speedway on January 9-10, 2014. 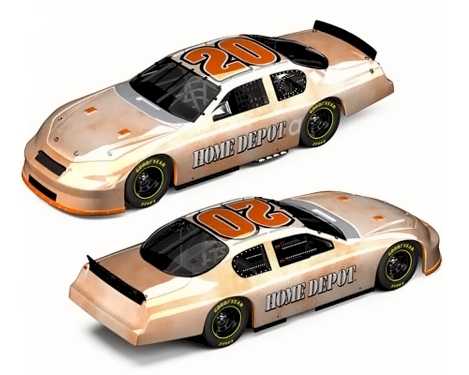 The Hendrick Motorsports 30th Anniversary logo is featured on the decklid. 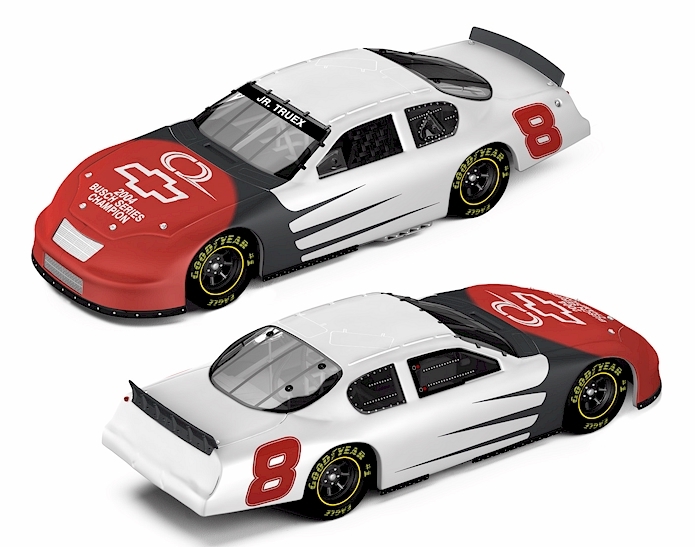 2014 Bill Elliott #5 Test Car / Chevrolet Camaro NASCAR diecast, by Action. 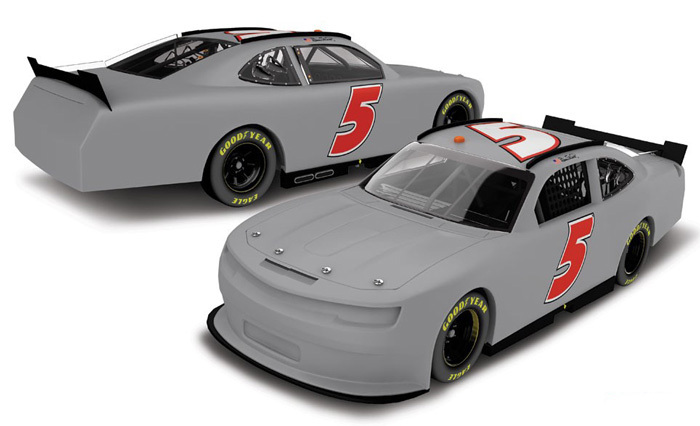 The JR Motorsports #5 Chevrolet Camaro Test Car was driven by Bill Elliott during the NASCAR Nationwide Series test sessions at Daytona International Speedway on January 9-10, 2014. 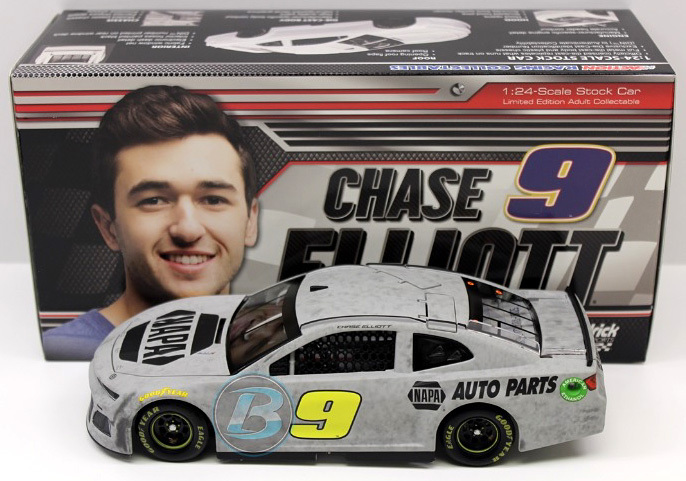 2018 Chase Elliott #9 NAPA / Test Car / Chevrolet Camaro ZL1 NASCAR diecast, by Action. 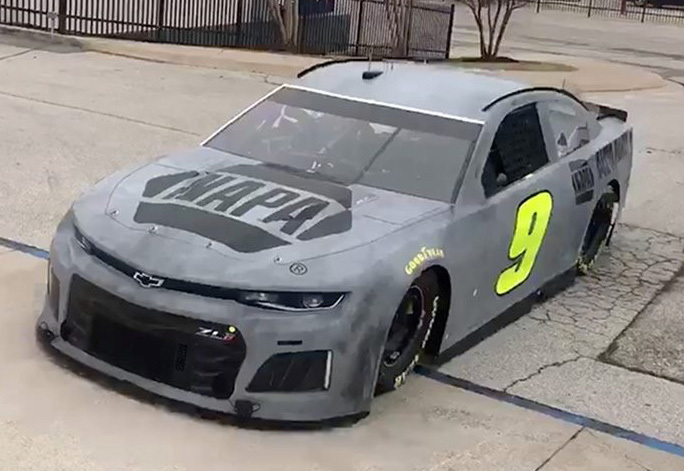 The Hendrick Motorsports #9 NAPA Chevrolet Camaro ZL1 Test Car was driven by Chase Elliott during the 2018 NASCAR Monster Energy Goodyear tire test at Texas Motor Speedway. 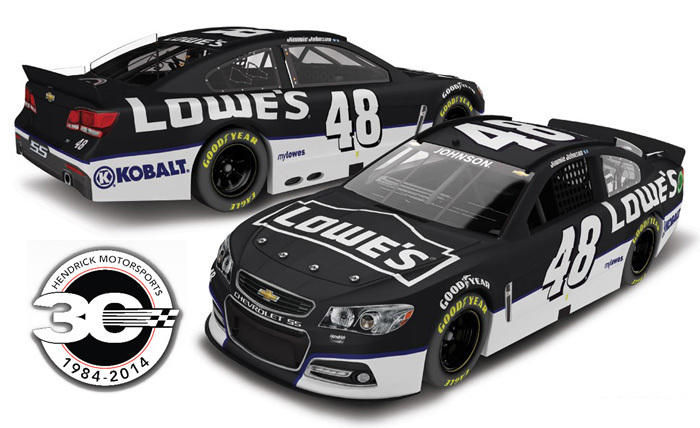 2014 Jimmie Johnson #48 Lowe's / HMS 30th Anniversary Test Car / Chevrolet SS NASCAR diecast, by Action. The Hendrick Motorsports 30th Anniversary #48 Lowe's Chevrolet SS Test Car was driven by Jimmie Johnson during the NASCAR Sprint Cup test sessions at Daytona International Speedway on January 9-10, 2014. 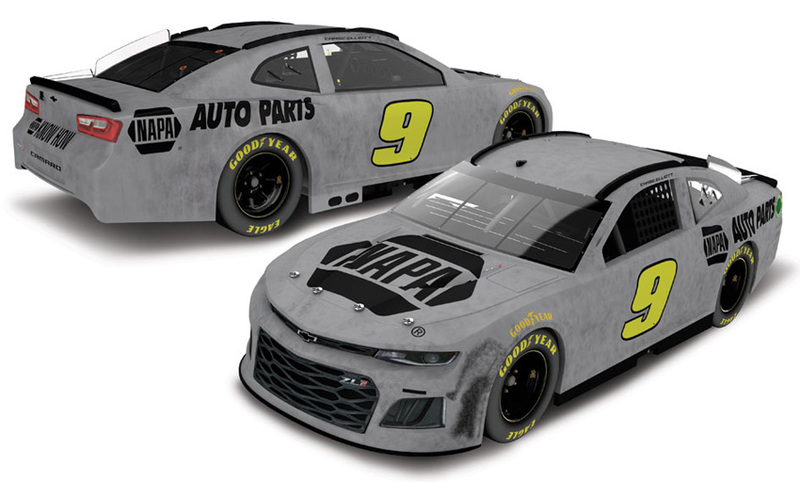 The Hendrick Motorsports 30th Anniversary logo is featured on the decklid. 2014 Kasey Kahne #5 Farmers Insurance / HMS 30th Anniversary Test Car / Chevrolet SS NASCAR diecast, by Action. The Hendrick Motorsports 30th Anniversary #5 Farmers Insurance Chevrolet SS Test Car was driven by Kasey Kahne during the NASCAR Sprint Cup test sessions at Daytona International Speedway on January 9-10, 2014. 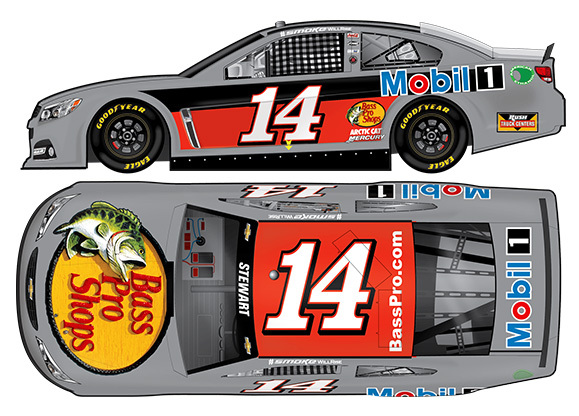 The Hendrick Motorsports 30th Anniversary logo is featured on the decklid. 2014 Danica Patrick #10 GoDaddy.com / Test Car / Chevrolet SS NASCAR diecast, by Action. 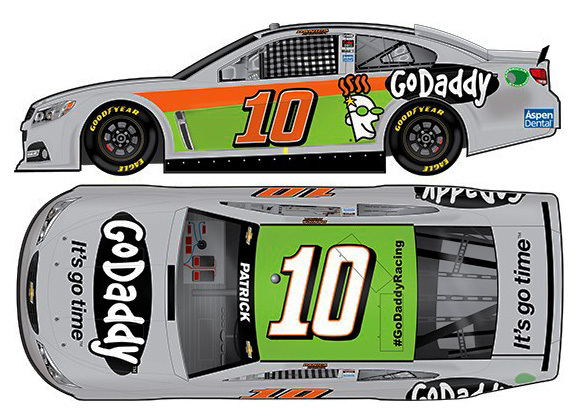 The Stewart-Haas Racing #10 GoDaddy.com Chevrolet SS Test Car was driven by Danica Patrick during the NASCAR Sprint Cup test sessions at Daytona International Speedway on January 9-10, 2014. 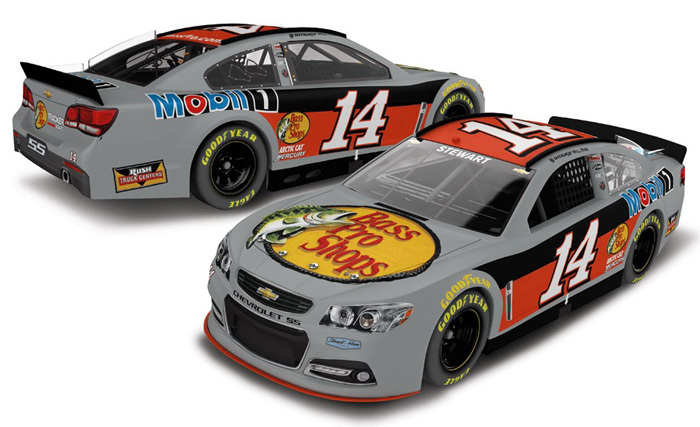 The picture shown is slightly different than the actual car. The car is medium gray, not white.